The first episode started off with an insane challenge within the first few minutes. A Quick Fire challenge was announced and the classic challenge turned deadly within seconds. Padma Lakshmi, the host of the show, announced that the Quick Fire was “sudden death.” Basically, if you lose, you are done and out of the competition.This season looks like it is going to have twist and turns anywhere it can. A few of the chefs seem to be up to the competition and the ridiculous challenges ahead. Some of them seem like they might get lost in all the clutter of the pantry. Let’s take a look at who might make it to claim the title of Top Chef and who will slowly get picked off in the next few episodes. Why she’s in the bottom: She seemed a little lost from the start. Although her background gives her the credibility to compete in the competition, her first dish lacked in its originality and overall pizzazz. 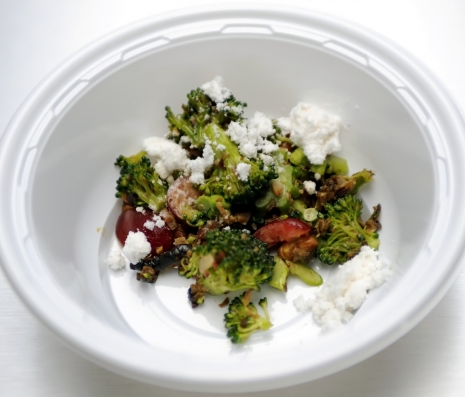 I mean, who thinks a plate of broccoli will win a dish? She needs to take her side dish and make it a star player in order to stay in the competition. Although he was not in the bottom three, I have a weird feeling about him. He just seems like he will get lost and overwhelmed in the competition. If I were trading places with one of the judges for this round, I would have advocated for Ron to be in the bottom. His dish, although it may have been tasty, was not pleasing to the eyes. The dish did not stand up to Top Chef standard. I mean, shrimp cocktail is just soooo boring. It’s what they serve at a blasé affair when creativity is lacking, not on Top Chef. And I understand how Ron tried to jazz it up with strawberries, but in the end it was still shrimp cocktail. Overall, it does not seem like a dish that will go very far in this competition. I hope Ron pulls out something surprising in the weeks to come, otherwise he better pack his knives. I am all for a mesh of foods, especially Jewish and Mexican. (What could really go wrong there?!?) 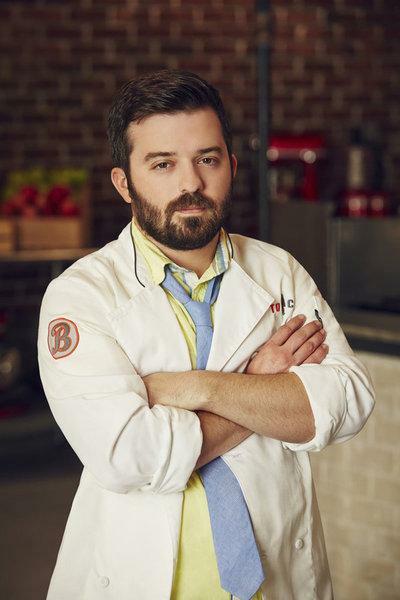 He may be one of the first chefs to create that style of restaurant, but it seems as though it may not be a hit on Top Chef. 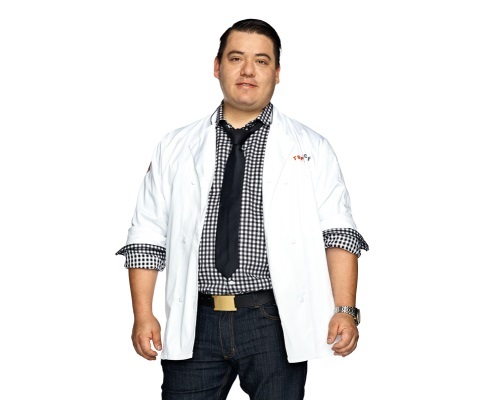 Katsuji was the definition of excited when he first got into the Top Chef kitchen. His prep list included everything, plus the kitchen sink. I mean, hats off to him for having the time to complete all of the prep work, but really, I don’t think he left out a single ingredient in his taco mashup. He may have the talent and strength to pull off the time element for the challenges, but too many ingredients can be a bad thing. I would not expect him to be around much longer. Winner, Winner, Chicken Dinner. Who to Watch: Top 3. 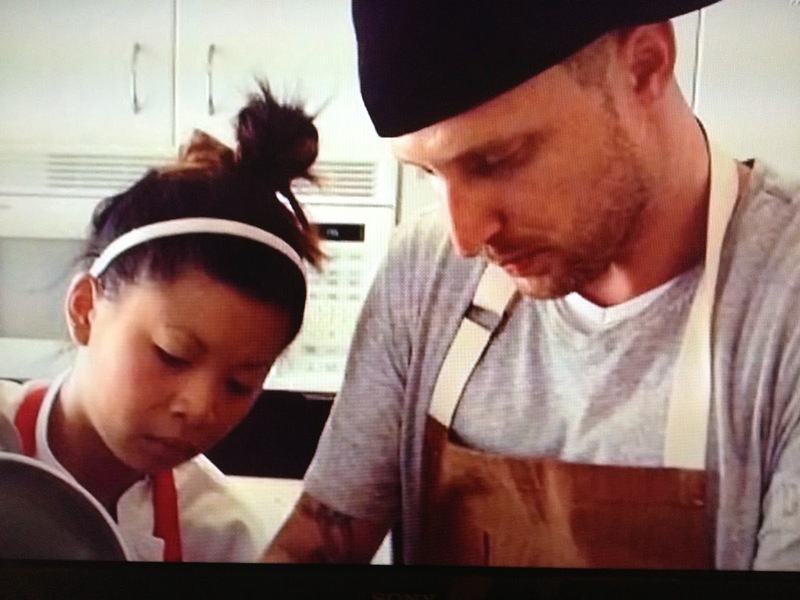 As soon as Lin said she worked for Michael Voltaggio, I knew she would be one to watch. Voltaggio was unstoppable during his run on Top Chef and eventually went on to win the whole thing. I have no doubt that Mei Lin can follow right in his footsteps. She has the Top Chef vibe. Her first dish was complicated, yet simple. She understood the ingredients and did not over do it. She just has the Top Chef attitude. If I had to bet on it now, I would say she would be the main one to watch. Doug seems like the sly underdog of the competition. From the previews of the upcoming season, it looks likes he knows what he is doing and is here to try to take the title. He knows that he is good, but does not seem like the bragging type. 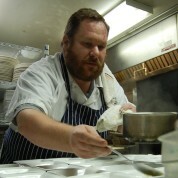 He understands what to do with the ingredients and keeps the food simple while still being true to the flavors. This is evident when he paired the watermelon with the fried chicken. (Also, that sounds like the STRANGEST but most delicious combination, who would’ve thought!) I would definitely keep an eye on him. Wow is all I have to say. I mean, who can throw that many ingredients is a dish and still have it taste good. 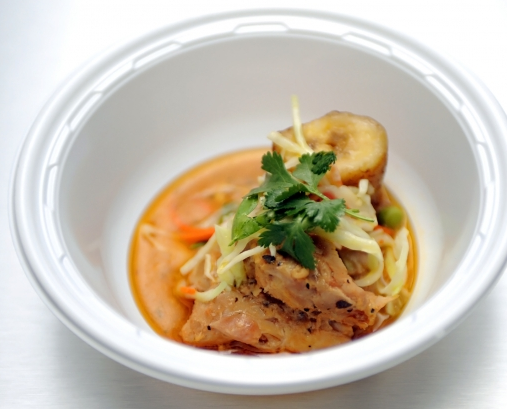 His first main dish consisted of stewed chicken, fried bananas (what???? ), spicy pikliz and finished off with a scotch bonnet and chili relish. Reading that just sounds like a recipe for disaster, but Gourdet understood how to make the flavors mesh and kept the judges impressed. I am looking forward to see what else he has in store during this season! Just like any season of Top Chef, I am expecting the unexpected. The craziness with food will continue and I cannot wait to see what will happen.